Notice：This painting only sold by DINGDONG ART,we can't promise the quality from other seller. Framed painting is already ready to hang.Because there is a hook on each panel, and we provide some nails. 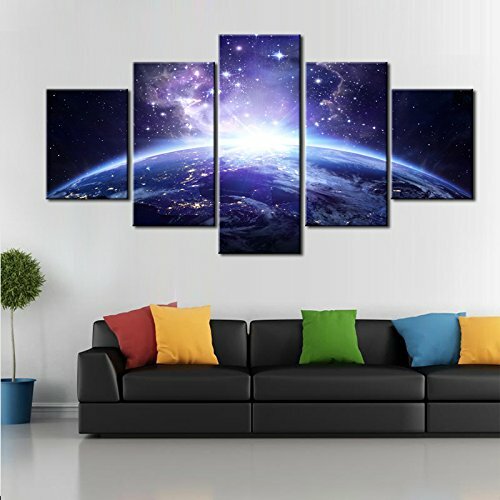 5 piece high definition giclee modern purple galaxy canvas paintings wall art prints are stretched and framed for home decorations wall decor. If you have any questions about this product by DINGDONG ART, contact us by completing and submitting the form below. If you are looking for a specif part number, please include it with your message.